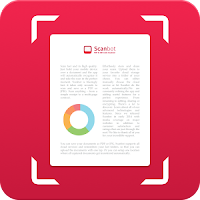 Scanbot pro is the best document to PDF scanner app and very easy to use. 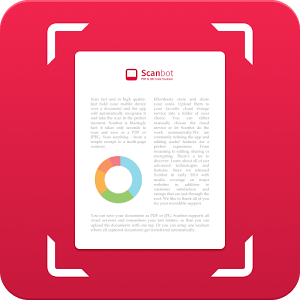 Already 7 million people on Android and iOS use Scanbot to scan their documents, receipts, whiteboards, QR codes or bar codes.This scanner app already won numerous awards and achieves a satisfaction rating of 98%. It scans everything from business cards to whiteboards. When you scan a document, Makes hundreds of decisions to capture the document perfectly, crop the document, straighten it and apply the filter. Scan QR-codes: URLs, contacts, phone numbers, locations, hotspots, etc. Text recognition (OCR): extract the text of your scans, e.g. receipts, to copy, search, lookup etc. Smart file naming: automatically add the current city, time or device name to your scan. Themes: change the look and feel with one of our great themes. 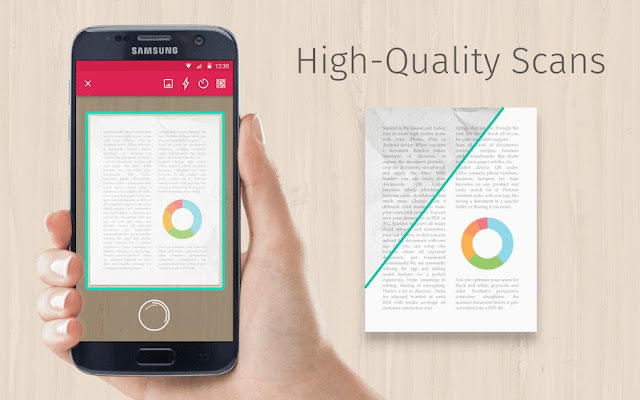 Easily work with PDFs after you have scanned them. Highlight text, add notes, draw on the scanned pages or add your signature.